Q:The bypass of the soft starter cannot be closed ? Q:The non-full-phase fault of the soft starter ? Q:The switch jumps off when the soft starter starts ? Q:The soft starter is overheated when it starts ? Q:The silicon control of the soft starter is damaged ? (1) Over current punches the soft starter through when the motor starts. 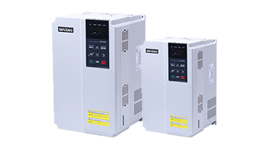 ( Check whether the power rate of the soft starter matches the power rate of the motor and whether the motor is grounded or inter-turn short circuited. (2) Frequent starts or high temperature will damage the silicon control. (Limit the number of starts) (3) Check whether inlet lines of the power supply and the motor are loosened. (4) Check whether the modular of the soft starter or the silicon control is punched through and whether their trigger gate drive resistor meets the requirements in normal situation. ( generally 10-30 ohms. ) (5) Check whether the socket of the connecting wire is loosened. Q:No display on the frequency inverter ? Check whether the power put in of the inverter is consistent with the rated voltage by a multi-meter. Check whether the indicator of CHARGE is lighted. If this indicator is off, the error lies in rectifier bridge or snubber resistor; If the indicator is on, the error probably lies in the part of switch power supply. Q:The motor doesn’t move after the frequency inverter runs ? Check whether there is balanced three-phase output among U,V and W. If there is, it means the motor circuit or the motor itself is broken, or the motor is stuck due to the mechanism problem; If there is no voltage output, most probably the driving board or the outputting modular is broken. Q:The converter shows normal when electrified , but the air-breaker switches off after the operation ? Check whether there is a short circuit between the output module. Check if there is a short circuit or grounding in the lead wire of the motor. If the trip is the occasional and the distance between motor and inverter is big, then consider adding an output AC reactor. 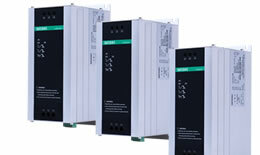 Q:Can the frequency inverter be used to control and adjust the speed of the single phase motor? ?